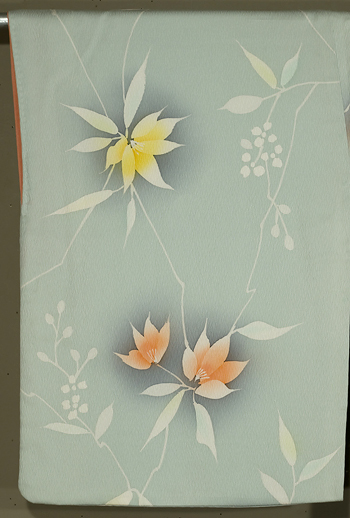 Light blue-green silk with stencil-style floral design. 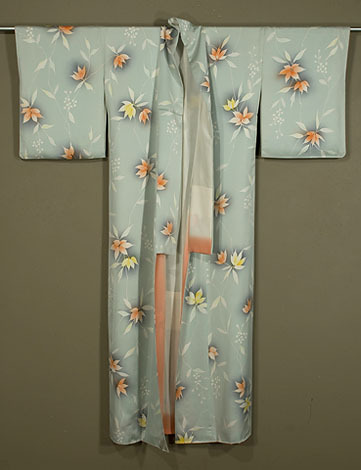 51½"across the shoulders; 64"long. 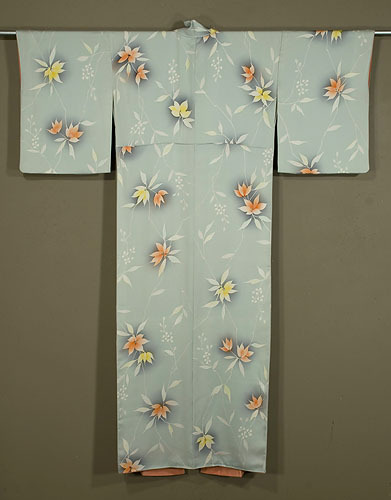 This lovely kimono is in excellent condition.